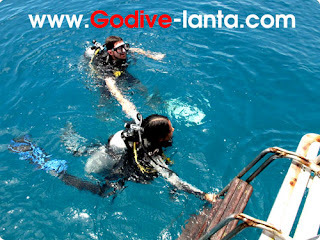 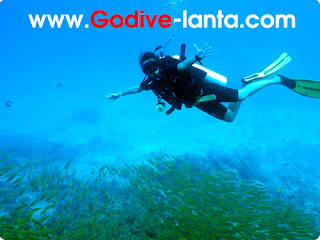 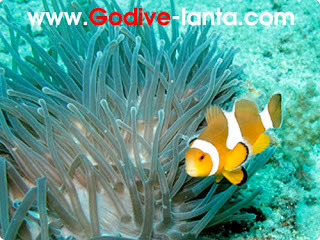 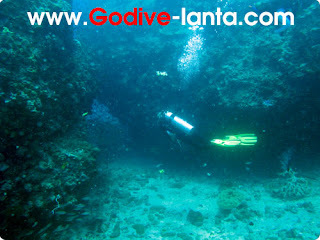 Never dive before... We can help you to try scuba diving. 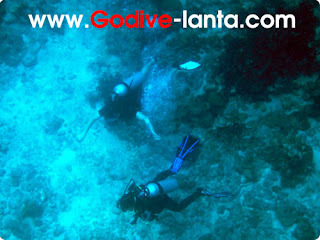 David and Instructor Oh underwater. 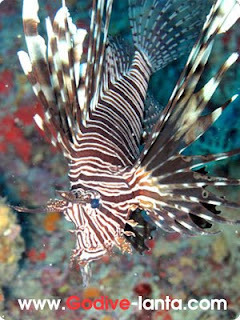 Some time i just want to do snorkeling after first dive of the day and many time you will surprise to see something special like today. 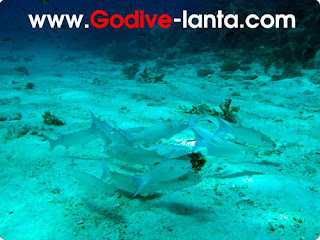 I saw tree baby black tip sharks around me. 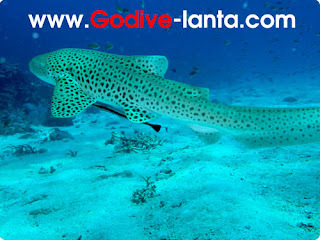 but the camera can take only one shark. 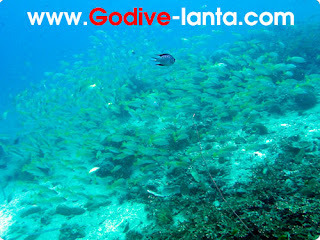 This is the other good day for diving on low season with clear water but a bit strong current. 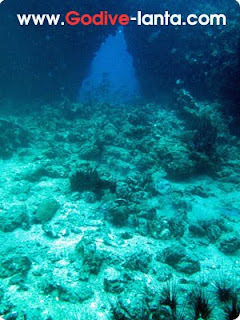 I'm not expecting to much for marine life in this season but I have to change my idea since I'm going down underwater. 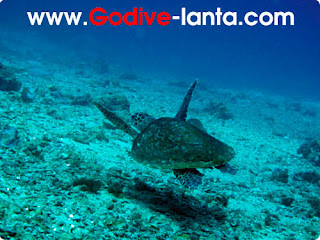 I found turtle, boxfish, sleeping banded sea snake, beautiful soft coral, mantis shrimp, etc. 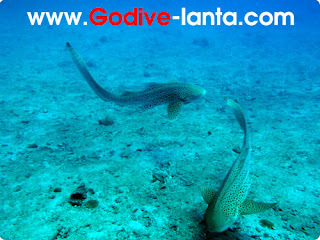 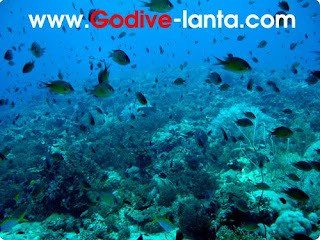 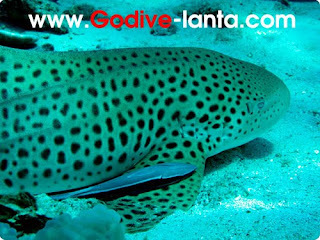 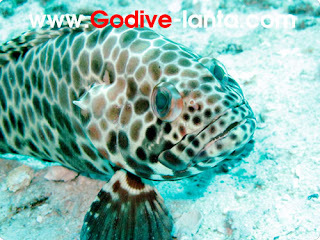 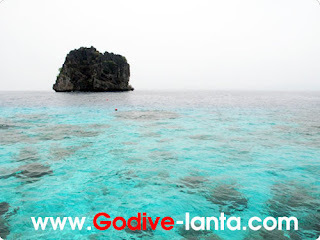 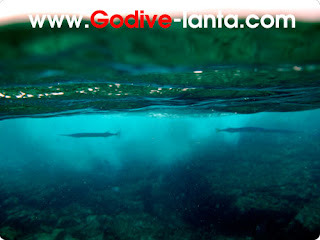 When you snorkling or diving in lagoon, you will meet lovely and friendly puffle fish and black tip sharks also. 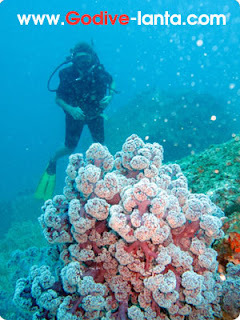 beautiful soft coral with diver background. 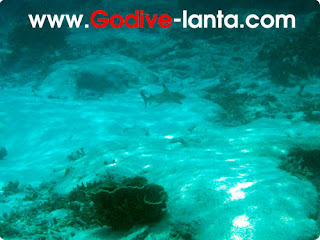 Baby black tip shark in the lagoon. 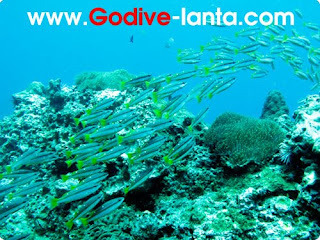 Diving Koh Bida Low season never low of marine life. 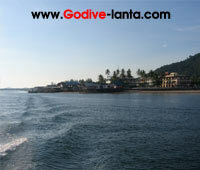 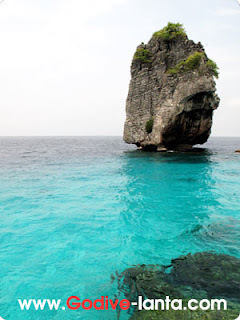 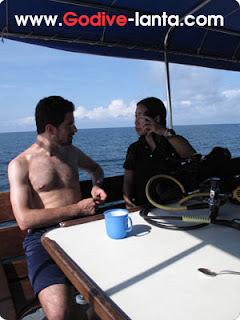 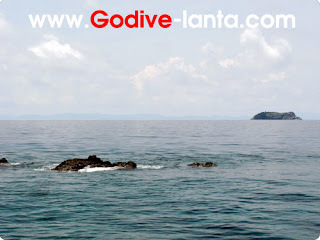 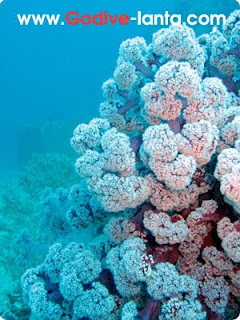 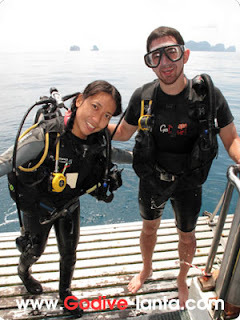 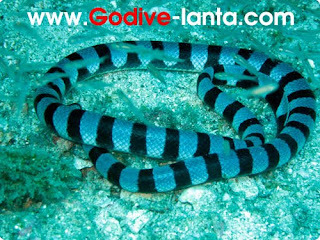 I have a chance to diving on low season at Koh Bida Nok and Koh Bida Nai. 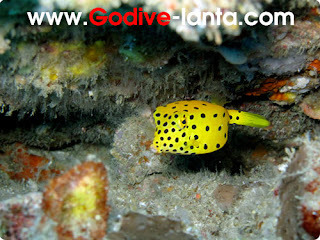 I'm so surprise at frist dive because I see a lot of fishes with crystal clear water, turtle eating soft coral, two swimming Leopard sharks, bule spotted string ray, yellow boxfish, etc. 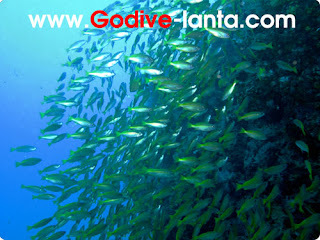 many fishes around this dive site.